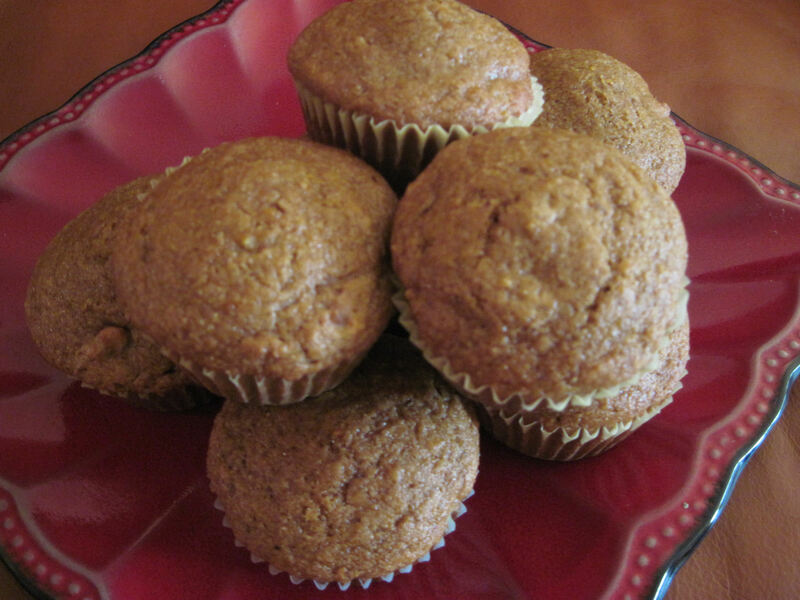 Natural Foods Chef Gilda Mulero sent over this savory muffin recipe featuring many Fall goodies, such as butternut squash, orange zest, pumpkin pie spice and cinnamon. Delicately spiced, these make a wonderful accompaniment to your morning cup of java! In a large bowl, whisk together the dry ingredients: whole-grain pastry flour, turbinado sugar, baking soda, salt, cinnamon, and pumpkin pie spice. In a separate bowl, whisk the wet ingredients: oil, eggs, buttermilk, maple syrup and vanilla until they are mixed together. Add and whisk in the butternut squash puree and orange zest if using. Combine the wet ingredients into the dry and mix gently, fold in walnuts if using. Pour the batter into the prepared muffin pan. Gently tap the pan on a flat surface a few times to remove any air bubbles. Bake for 18-20 minutes or until a wooden toothpick inserted in the center of one of the muffins comes out clean. Let cool on a wire rack for 15 minutes. Enjoy! *Note: to roast a butternut squash, simply cut the squash down the middle, scoop out the seeds with a spoon and place squash on a baking sheet skin side up and bake at 400 degrees for about 45 minutes. A medium size squash will yield approximately 2 cups of butternut squash puree. 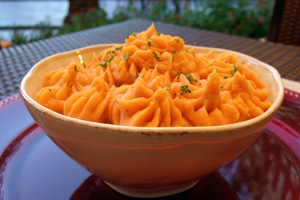 Alternatively, this recipe can be made with other squashes as well such as acorn or delicata, or mashed sweet potatoes. You can also use canned pumpkin puree; however, using fresh ingredients is simply the best! You can also use a 24 mini muffin tin and bake for approximately 8-11 minutes and serve the muffins with soup instead of dinner rolls.